Lumia 2520 has a score of 7.94, which is a little bit better than iPad mini 2's 7.49 overall score. The Lumia 2520 counts with Windows RT 8.1 OS, while iPad mini 2 counts with iOS 8.x OS. Even being the best we are comparing here, the Lumia 2520 is a notably heavier and somewhat thicker tablet than the iPad mini 2. Lumia 2520 has a display that's very similar to the screen in iPad mini 2, because although the Lumia 2520 has a lot worse pixels density and a bit lower resolution of 1080 x 1920, it also counts with a larger display. The Apple iPad mini 2 has just a little better hardware performance than Lumia 2520, because although it has lesser and slower cpu cores and a lower amount of RAM memory, it also counts with a better graphics processing unit working at 600 MHz and a 64-bits processing unit. Lumia 2520 and iPad mini 2 both have extremely similar cameras, and although the Lumia 2520 has a back-facing camera with a lot higher 6.7 mega-pixels resolution and a much larger camera aperture to take better low-light photography and video, they both have the same 30 fps video frame rates and the same (Full HD) video definition. Lumia 2520 features a very superior storage capacity to store more games and applications than Apple iPad mini 2, because it has 32 GB internal memory capacity and an external SD slot that allows a maximum of 32 GB. The Lumia 2520's battery lifetime is just as good as the battery performance in Apple iPad mini 2, although the Lumia 2520 also has an 8000mAh battery capacity instead of 6471mAh. 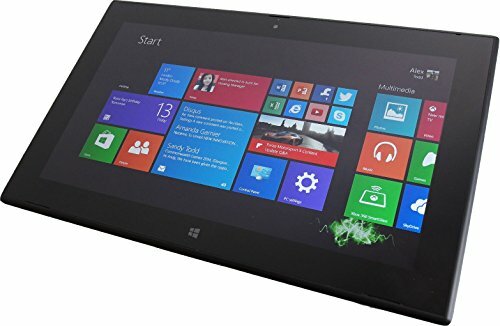 The Lumia 2520 is not only the best tablets in our current comparisson, but it's also a lot cheaper.